Live by the katana. Die by the katana. Are you ready to test your mettle against players around the globe? 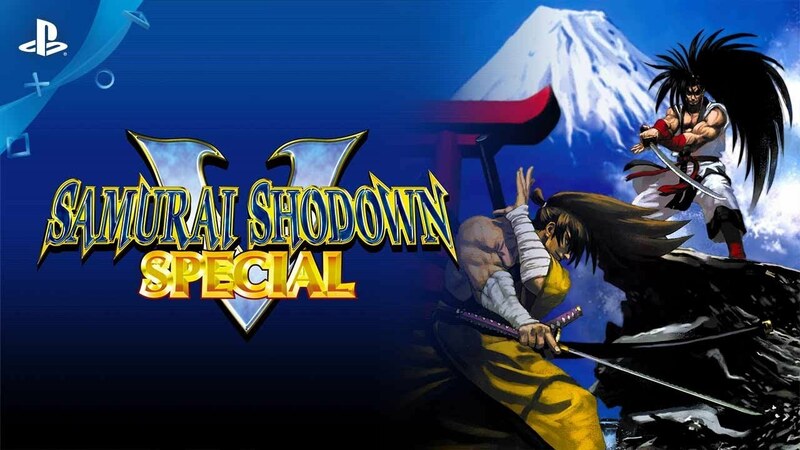 Samurai Shodown V Special launches tomorrow on PS4 and PS Vita! The game will be priced at $14.99 and is both cross buy and cross play. We have prepared a special launch trailer for the game which gives a breakdown on some of the game systems, along with some of the new features and options added for this release. Let’s jump right in! 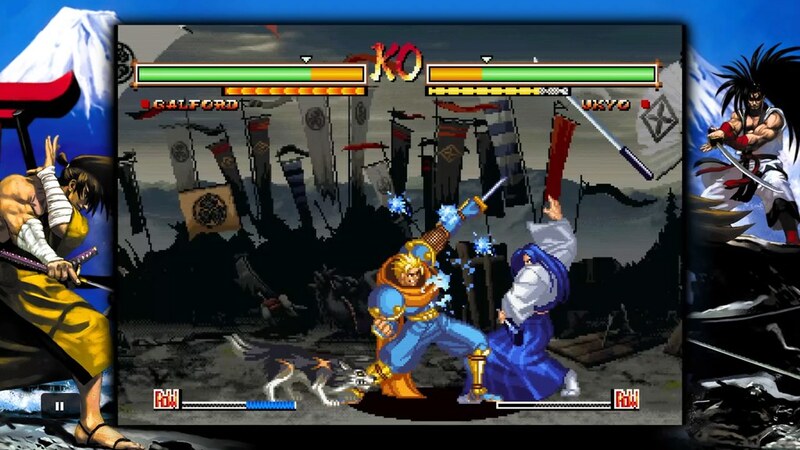 The PS4 and PS Vita versions of this NeoGeo masterpiece add online multiplayer to the game for the first time, along with a Gallery full of unlockable art and illustrations. We also added a setting to allow players to set their favorite music track as the Menu BGM. This release will of course feature Trophies and Leaderboards, too. As you can see in the launch trailer above, the game has a lot of technical gameplay systems which will make most fighting game fans feel right at home. The trailer only covers the more critical systems, and there is even more depth in the game system for fans who want to dig deeper. 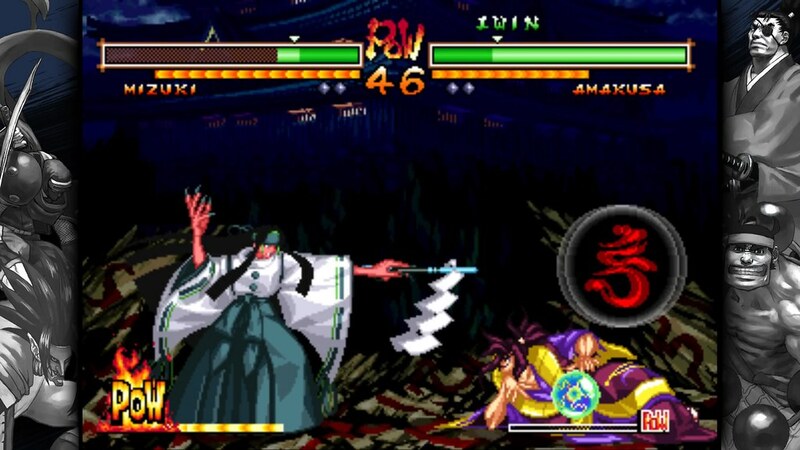 SNK has always been known for fighting games with a lot of technical depth, and this one is definitely no exception. We wanted to take this chance to break down a few other interesting tips and strategies that will help players reach their peak potential when battling online. If we went through all of the various strategies and technical aspects, we would be here all day so we narrowed down a few entry level ones that can quickly help players step up their game. Deflect: This move will deflect most normal moves besides kicks, low attacks, and overheads. A successful parry will leave your opponent open for a counter-attack. This is a key strategy in high-level play as an opponent can quickly turn the tables on you if you carelessly attack. However, it does have a recovery animation on a miss, so it cannot be carelessly spammed either. Blade Catch: One mechanic that players will quickly realize is that the Weapon Flipping Techniques that are possible to use with a full Rage meter will send your opponent’s weapon flying if they land. This obviously puts the disarmed player at a huge disadvantage but this simple command can actually be used to catch your opponent’s blade and disarm them as well, leveling the playing field. 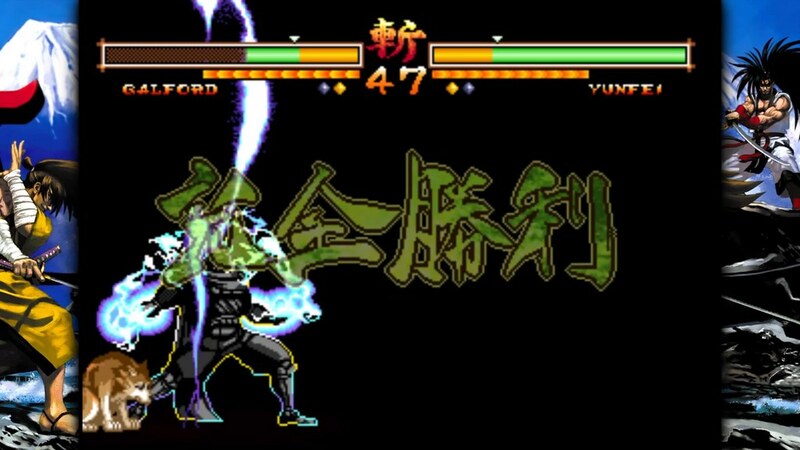 Special Movement: The D button (Special) in Samurai Shodown V Special is used for a variety of actions, including some very important dodges and movement options. In a game where every single hit means a lot of damage, these movement options are all the more important. Here are a handful of examples of what you can do! Forward Leap: This is a short hop forward that also allows you to dodge low attacks while either approaching your opponent or even jump over/through your opponent. Lie Down: This command puts your character in a prone position, allowing you to dodge overheads. Suicide: This mechanic basically forfeits the current round. This may seem like a completely useless mechanic at first, but it does have its uses in high level play. This ties into the Rage mechanic which increases your damage substantially before its timer runs out. That buff and timer will actually carry over to the next round, so if it looks like you are going to lose a round while still having a full Rage meter, you can then use this suicide mechanic to quickly forfeit that round and start the next one with an advantage. It’s not something you will see very often, but it is still an interesting and unique mechanic. And some characters do forfeit in style as you can see with Galford in the screenshot below. Poppy doesn’t seem very happy with the decision though! These are just a handful of the techniques that will come into play in high-level matches. 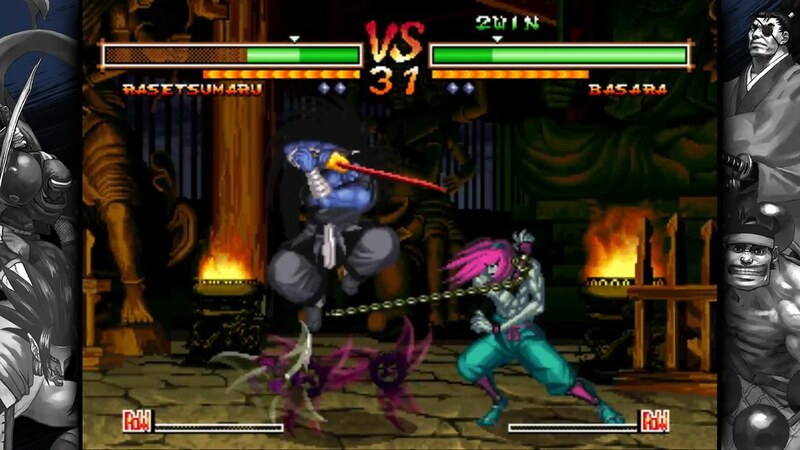 Samurai Shodown V Special is a technical fighting game, and the more you dig into its plethora of systems the more you will be rewarded with exciting and tense matches. Def. buying this tomorrow, can’t wait. Please release more SNK games especially KOF 03 and SvC Chaos :). Day 1 buy for me. Thanks for supporting the Vita!! Does anyone know what the price will be? $15 cross buy cross play? DAY 1 for me. I am a Street Fighter fan but I have been loving what y’all have been doing. 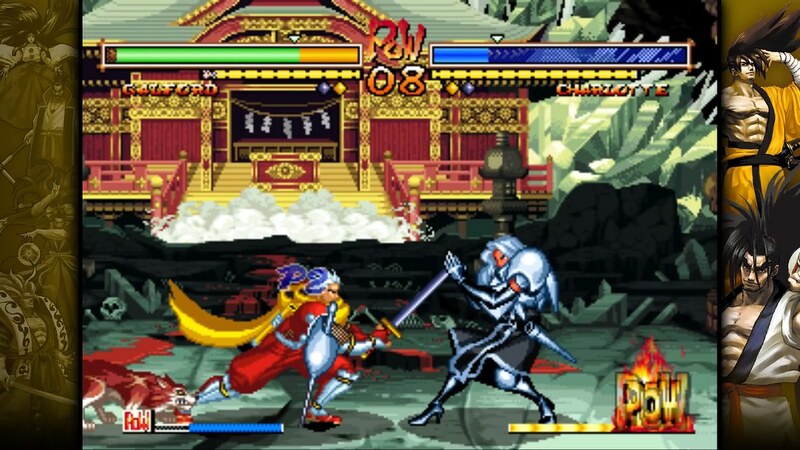 I am upset that Capcom have not re-released their older SF games like you have with your fighting games. This is why I am supporting y’all. I have bought all the AoF, FF, KOF, and SS games on my PSV, PS3, PS4, X360, XB1, and Android. I want to buy the Wii VC games but they are just too expensive. There are like 15 games and they are all at like $8 each. If you bring them to the Wii U VC, then I will buy them. So, thank you for re-releasing this and others. I hope y’all keep doing this. My only criticism is that you have some Japan only KOF games for the PS3. Can you please bring them to the US? Even if it is just for the PS3…I am cool with that. Thanks. I hope SNK does a modern update to this long awaited series like what they did with King of Fighters. Even a proper Antholog would be great. Not a port of an emulated PS2 port. I’m glad this version is uncensored at least. Heck hire those HD Remix guys. HD Remix looked gross. Thanks, but no thanks. SNK going strong with these rereleases. This will be great on the best handheld ever made …. Thanks for support the Vita ! Thank you so much for bringing this to the Vita! 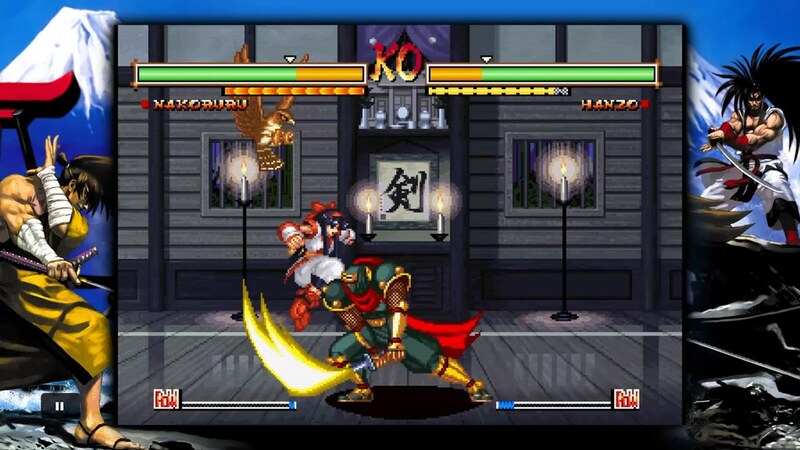 im waiting for a samurai shodown 2 hd remake. I had to ask for a refund of SamSho VI on the PSN after playing for less than 5 minutes. It was a bare bones PS2 port and nothing more. This looks like an actual re-release with the border art and online play and more like the Last Blade 2 port which was terrific. If it’s half as good as that or the PSN Garou port I’ll be happy. Definitely getting this, mainly will be playing this on my PS Vita. Hope SNK releases more SNK/NeoGeo Classics on PS Vita, before Sony decides to officially end Vita’s life(irony) cycle. I would love a KOFXIV on PS Vita. Remote play very good. how it’s the net code? I would love to see more SNK games properly ported to PS4 with online like this and Windjammers instead of the PS2 re-releases. SNK screw the port with censored fatalities/finishers as what I can see in the video plus no mention of it on the article. The multiplayer add-on it’s great but no fatalities = bad port. Outside of a an issue where they are censored in the Practice Mode, the game is completely uncensored and even has options so you can toggle the level of violence.